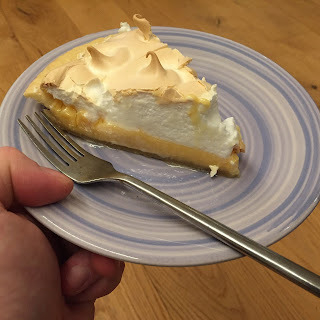 I love lemons, they are one of my favorite flavours, so lemon meringue pie is a definite favorite in my house. My mum used to make a fab pie that is the stuff of family legend, so I can only hope to get somewhere close to that. 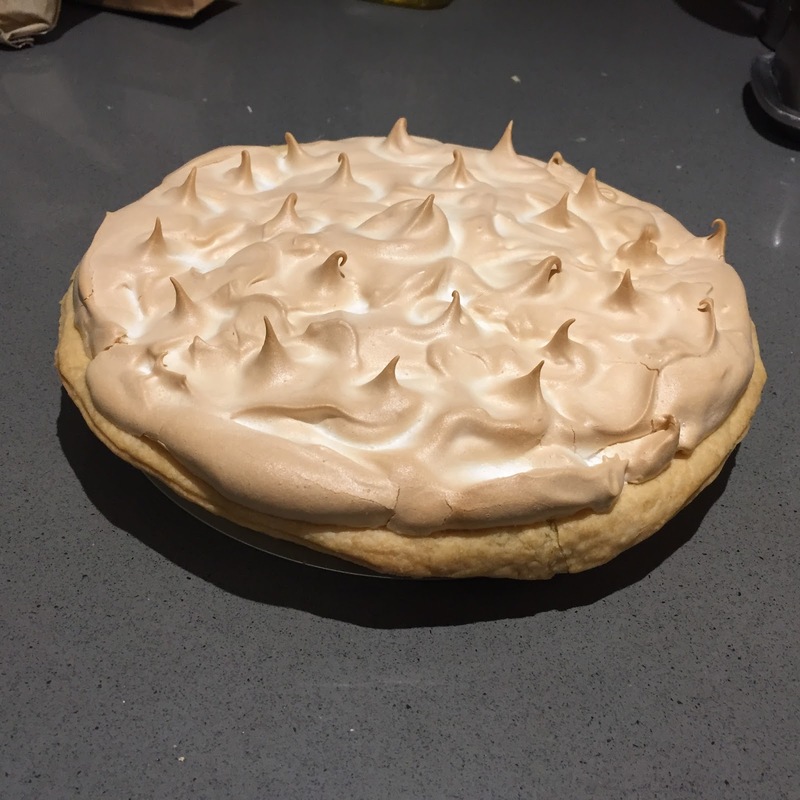 My take on it is based on Mary Berry's pie but I use normal shortctust pastry for the base rather than the biscuit version she uses. Make the shortcrust pastry by rubbing the butter into the flour either by hand or with a food processor or with a stand mixer. Roll out the pastry and line an 8inch pie dish. Cut a circle of greaseproof paper a bit bigger than the pie dish and use it to line the pastry case, fill with baking beans. Blind bake the pastry for 20 mins, remove the beans and paper and bake for a further 5 mins until the pastry is golden. Pour the mixture into the pastry case. Whisk the egg whites till stiff. Gradually add the sugar a spoon at a time whisking well in between each spoon until the mixture is very stiff. Bake for 20mins, leave to cool for 30mins then eat warm.